A panel of judges on the U.S. Court of Appeals handed another victory in Philadelphia's prolonged battle to maintain its so-called welcoming city status. On Friday, the U.S. Court of Appeals for the Third Circuit upheld a June 2018 U.S. District Court ruling in favor of Philadelphia's lawsuit against the Department of Justice. The initial decision, issued by U.S. District Judge Michael Baylson, ruled that the DOJ overstepped its authority by attempting to cut off grant money to Philadelphia over how the city deals with undocumented immigrants. Friday's opinion did not address Philadelphia's welcoming city policies, but instead focused on the justice department's authority to impose conditions for grant money. "Concluding that Congress did not grant the Attorney General this authority, we hold that the Challenged Conditions were unlawfully imposed," Circuit Marjorie Judge Rendell wrote. Those conditions, issued by former Attorney General Jeff Sessions, attempted to mandate that cities provide immigration officials access to prisons and suspects, advanced notice when undocumented immigrants were to be released from prison and share a person's immigration status. In his June 2018 ruling, Baylson called these conditions “arbitrary and capricious.” His decision prompted Mayor Jim Kenney to break into a song and dance. This time, Kenney was more subdued. 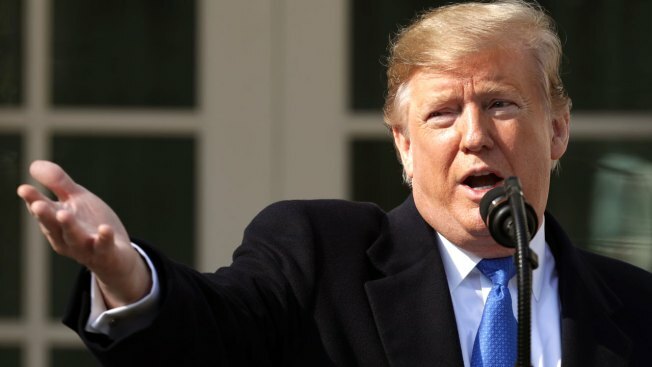 Just moments after President Donald Trump declared a national emergency over border security, the mayor's office issued a statement echoing past comments. "On the very day the President declared a bogus national emergency to build a useless wall, I say to our immigrant community: we are glad you call Philadelphia home, and we will continue to fight for you," the statement read. The City of Philadelphia initially sued Sessions after the former attorney general threatened to withhold funds if the city did not fully comply with new and “unprecedented” requirements on the Edward Byrne Memorial Justice Assistance Grant (or JAG grant), which provided Philadelphia with $1.6 million last year to spend on police overtime, training, equipment, courtroom technology and other aspects of the criminal justice system. Philadelphia's attorneys argued that the move was unconstitutional and harmed residents by withholding money earmarked to help buy kits to counteract opioid overdoses. The original lawsuit, filed in 2017, referred to Philadelphia's "vibrant immigrant community" as a vital part of its workforce and says the city has adopted policies "that seek to foster trust between the immigration population and city officials and employees." As a rule, Philadelphia officers do not ask residents about their immigration status. "Philadelphia is proud to be a city that welcomes all of those who seek safe haven, and this ruling affirms our right to do so," Kenney said in Friday's statement. "The conditions imposed by the DOJ were an unconscionable attempt to bully the City and its residents into changing our policies."